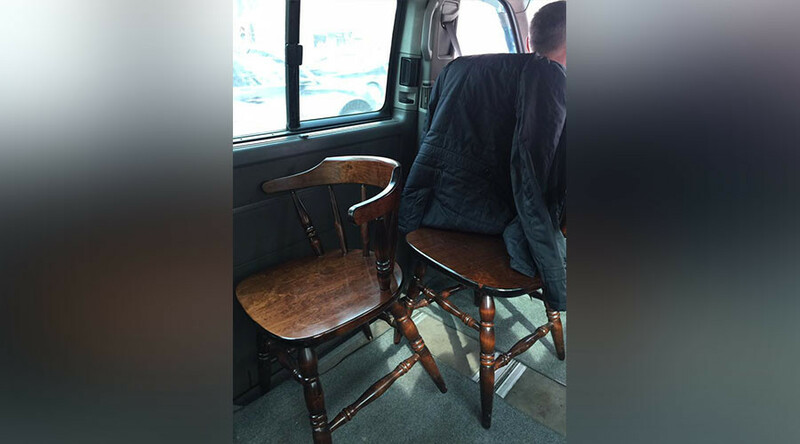 Borat’s twisted reality may have seeped into the real world, when a young woman from Kazakhstan called an Uber ride and got a van with wooden chairs for passenger seats. “Are you insane or what?! Is this really a Californian startup?” the woman, Darya Catch, wrote on her Facebook page on Monday, attaching some self-explanatory photos of wooden chairs inside an empty van. In the comments she later explained that the chairs were not even attached to the floor, let alone equipped with seatbelts. Another photo of the chairs was posted by Marina, who apparently was in the same van with Darya. She didn't comment on her picture, though. It is unclear however if there were other seats in the van. When Facebook commenters asked if she actually sat in the rickety chairs, Catch replied with a joke. Darya explained to the local news outlet tengrinews.kz that she didn't refuse the ride or make a new order because she was in a hurry. To prove the ride actually took place, she provided a screenshot of the route in the Uber app – which, bizarrely, shows the driver had a full 5 star rating. After she went public with the story, Darya told Afisha Daily that Uber contacted her, saying the driver was removed from the service, and she was offered to take her next ride for free. “This situation illustrates how important it is to know the local market,” Darya said in conclusion. Scandals are not new for Uber – an app hated by taxi-drivers all over the world – which provides a cheaper service from the comfort of one’s smartphone. Just recently the company faced sexual harassment charges.